When will be Colt .45 next episode air date? Is Colt .45 renewed or cancelled? Where to countdown Colt .45 air dates? Is Colt .45 worth watching? Western from the Warner Brothers television factory that aired on ABC from 1957 until 1960. The show originally starred Wayde Preston as Chris Colt, a government agent who posed as a salesman of Colt munition products. 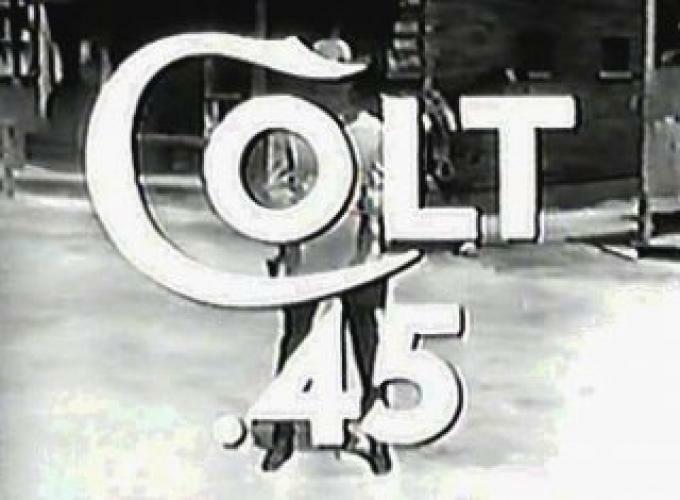 When Preston left the series after a dispute with the studio, Donald May replaced him as cousin Sam Colt, Jr.
EpisoDate.com is your TV show guide to Countdown Colt .45 Episode Air Dates and to stay in touch with Colt .45 next episode Air Date and your others favorite TV Shows. Add the shows you like to a "Watchlist" and let the site take it from there.